I'm sure no one really wants to bring this up during the holiday gorge-fest, but Tanita will introduce this belly fat scanner in early 2008. Apparently, the device will scan your abdominal circumference and then measure your body fat in that area. For $2,800, I'd frankly prefer someone who could estimate it with a tape measure, and then help me with my self-esteem in the usual American fashion - just tell me to repeat that everything is great and that I have high self-esteem. As opposed to, let's say, not stuffing myself and maybe walking more. Anyway, the real news here is that this device is obviously the distant ancestor of the device that McCoy used to perform bloodless surgery without knives in Star Trek IV. 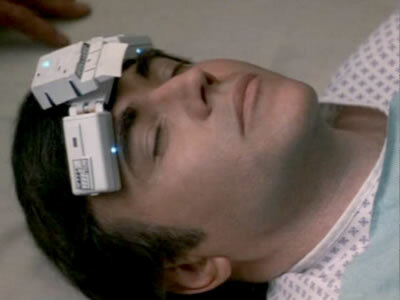 There really is such a thing as Ultrasound Bloodless Surgery Star Trek-Style.